This is a thing that happened. My friends threw a party celebrating the sinking of the Titanic. 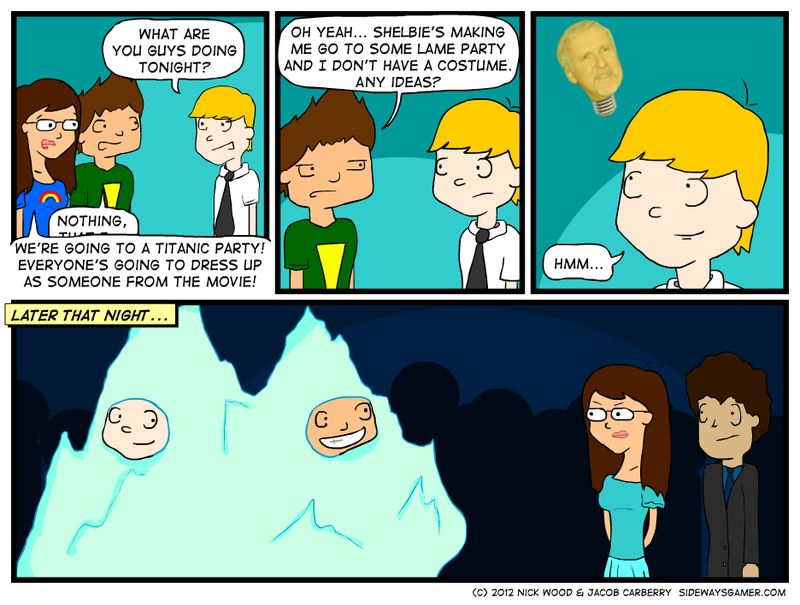 We had fun, yes, but it could have been 10x as fun if someone had actually shown up with an iceberg costume. I had a few more ideas for costumes. My first idea was to show up with a sketchpad and ask people to get naked so I can draw them. My other idea made me realize why I could never have a million dollars to burn. I would have bought a captain’s outfit and a boat, and I would have shown up in that. 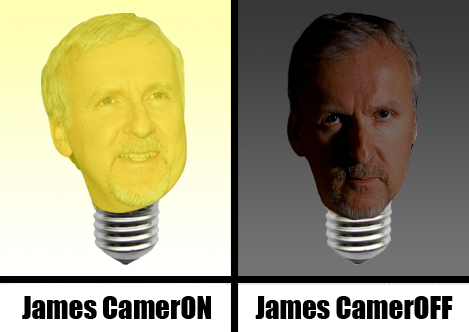 Coming soon: James CamerOFF in 3D!